For the third interview in the My Provence series, we meet Libby Wilkie, designer, blogger, and co-owner of Provence Rugs. 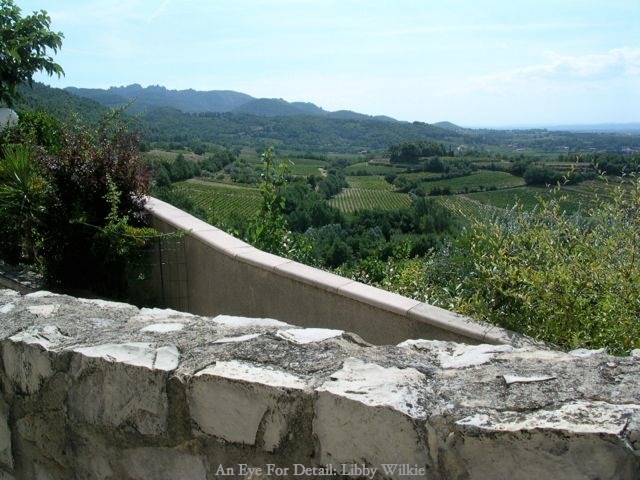 I’ve been following Libby’s design blog, An Eye for Detail, for the past two years and am very pleased that she agreed to share her wealth of knowledge about Provence with us. Merci Libby! 1. What is your connection to Provence, and how long have you been living in or traveling to the region? I have been traveling to Provence since 2001. That first year I went to a cooking school up in Nyons, a week long adventure where I was part of a small (8 others) group. But my very first trip to Provence had been for a summer during college. For three months I basked in the sun in Antibes. Does that count? Back to 2001: After I finished my week at the cooking school (where we also had wonderful day trips all around the region), my husband and I spent another two weeks in the area. We totally fell in love with everything we saw and did! When I returned home I immersed myself in all things French. I already spoke some French (from 4th grade through college), but began a series of classes and joined my local French group. As a direct result of my ever-growing love of Provence, I am now a co-owner of Provence Rugs. 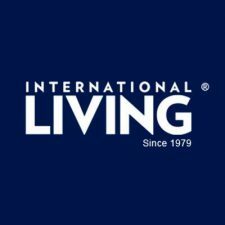 My business partner, Delana Nelsen, lives in Aix and together we design, import and sell rugs and accessories to the U. S. market. My background is in textile design and marketing, and now, combined with Delana’s on-the-ground expertise, I can truly indulge my love for Provence. During that first trip to Provence we spent most of our time in the Drome: Vaison, Grignan, Nyons and Dieulefit with a short stay down in St. Remy. The next several years we spent time in Goult (rented a house), Bonnieux, and Seguret. I will definitely say that our favorite area is Vaison and Seguret. As an American friend who lives in Vaison, said : “Vaison … yes, it’s an almost perfect town.” And that is how I feel! 3. Do you have a “best travel memory” for the region? One image, and memory, that returns often is of sitting at “un salon de thé”, La Maison d’Eglantine, in the village of Seguret. If you get a table by the window you can see for miles over fields and vineyards. Sipping one of their many unusual teas, and having a lovely tarte, or un petit gateaux (all made in house, of course) is truly one of my best travel memories. It’s always been quite warm when we have been there.. and the flies are everywhere. C’est la vie. 4. 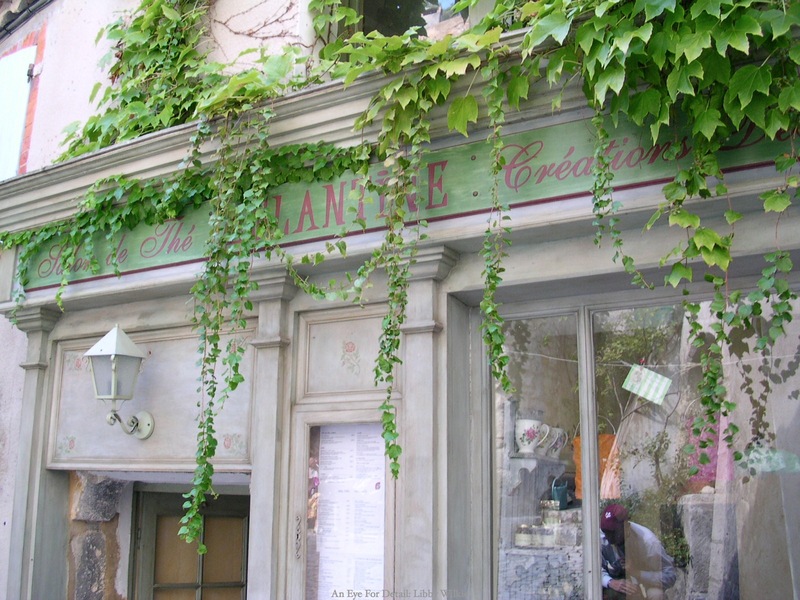 Can you think of one piece of advice or recommendation for travelers to Provence? Just remember: it is hot hot hot in the summer! And air conditioning, even in hotels and gîtes, is not always guaranteed. 5. Finally, can you give us one sentence which you feel describes Provence? 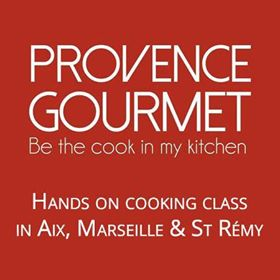 Provence IS the light, the colors, the people, the textures and, of course, the food. blog, An Eye for Detail. You can also find her on Twitter at @aneyefordetail and @ProvenceRugs. -Photos property of Libby Wilkie, All rights reserved. 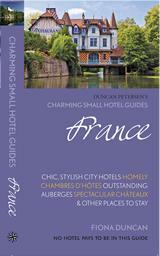 Great interview – I can’t wait to embark on my very first trip to France and Provence – yet to be planned, but coming soon I hope! Great article Tuula. Of course, I totally agree about Libby’s favorite parts of Provence being the area around Vaison and Seguret (our very close neighbor). I have yet to make it out to Vaison and Seguret and really need to plan a trip… especially after this interview, both sound wonderful. Really quite incredible how large Provence actually is… Merci Marianne! I enjoyed the interview, obviously we agree with her about the best places in Provence since we are only 2 km from Seguret and 10 km from Vaison la Romaine. We also love to sit at a table in front of the window at La Maison d’Eglantine and enjoy a slice of a tarte and look out over the vineyards and the village of Sablet. There a fabulous view of Sablet from the tea room. I must get to La Maison d’Eglantine, you and Libby have both painted a lovely picture… so interesting to hear about all the different areas of Provence and everyone’s favorite spots. Many thanks for your comment Michel.